Numarks monster of a flagship mixer gets an overhaul with all sorts of interesting things going on. 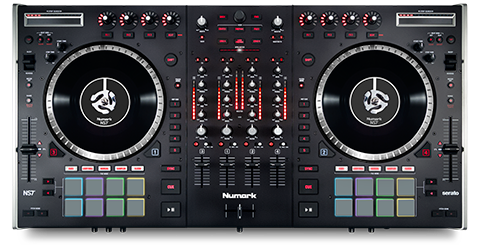 It keeps it’s lovely motorized platers and solid tank like construction but adds a whole raft of extra control features to take advantage of the updates to Serato that have occured over the last few months. So some sizable additions to the spec on the MKII with the addition of the search strip and pads now make it suitable for the Itch features that have migrated into the main Serato software client. The other addition of capacitive touch sensitive filter/gain/EQ and effect knobs should give an interesting amount of additional control and we look forward to seeing how these work when used in anger!